If you have kids, there is nothing worse than watching your child get sick and feel absolutely helpless because there is nothing you can do to ease his/her pain or suffering. One of the most common indicators that my child is unwell is when he/she has a loss of interest in food, and is more cranky than usual, although that may be due to lack of sleep as well. With more serious illnesses, my kids have no interest in doing something that they usually enjoy. And, we've had instances where my son was so lethargic, we had to go to Sick Kids immediately because we didn't know what to do. Therefore, as a parent, you must always pay attention to three types of indicators: activity, appetite and attitude. 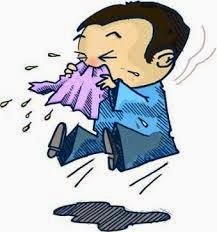 The obvious signs of being sick are fever, runny noses, coughs, rashes, difficulty breathing and vomiting. If your child has fever, especially for the first few times, you will definitely take him/her to the doctor. But, in subsequent times, you may feel comfortable handling the situation yourself. Every family is different in terms of deciding at what point to give a child baby advil or tylenol (tempra). What is your child's threshold? In our family, we sometimes give it at 37.5 C or may wait until 38 C, depending on the situation and illness. For example, my oldest son handles fever much better than my youngest, so that may play a big role in the decision-making as well. If your child has fever, you want to keep him/her undressed or in very light clothing. In terms of medication, ibuprofen and acetaminophen are available for children's fever. You want to consult your doctor about which medication is better to give to your child. For infants and toddlers, I find that for high fever ACET suppositories work best; they come in different dosage sizes/amounts, and should be administered according to your child's weight. Again, you want to consult your doctor at all times. 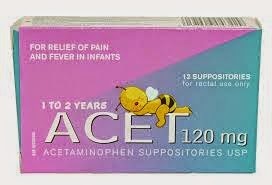 ACET suppositories are available at Shoppers, Walmart, and many other pharmacies. Symptoms may include runny nose, congestion, loss of appetite, headache and a mild fatigue. These may also be accompanied by a sore throat or a cough, and a mild fever. 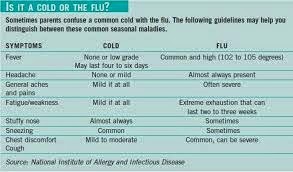 With a flu, symptoms are more severe, and may include fever, cough, tiredness and aching body. A common cold is usually caused by a virus that can infect the nose and throat. Flu-like illnesses are usually caused by a virus and infect the head and chest. If you take your child to see the doctor, you will most likely be advised to give your child plenty of fluids and urge him/her to rest. Also, usual recommendations are to give your child acetaminophen for fever (and pain). If your child is coughing for a long time, s/he may get an ear infection, and antibiotics may be needed; therefore, it is important to consult your doctor. If your child has a runny nose, many doctors will tell you to buy saline water/nose drops. Save your money, and make it yourself by mixing water and salt - start with half cup water and one teaspoon salt - until it tastes like sea water. Then use a dropper to give it to your child 3 times a day. 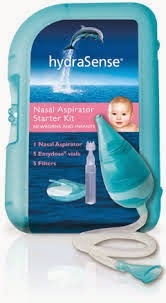 I also recommend the 'Hydrasense nasal aspirator' from Walmart (it's cheapest there) to clean the stuffy and runny nose several times a day; use it before administering the nose drops. 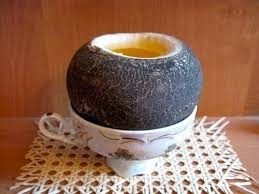 And, if your child has a cough, use the 'black radish' home remedy: wash the black radish really well; cut the top of it to create a lid; carve out the inside; add a a teaspoon of honey - you can also substitute in sugar for honey, although I've never tried - and cover it; let it stand for at least 1.5 hours. The black radish will give out its natural juice which works great for coughs. Give a few teaspoons to your child 3 times a day; it's best not to eat or drink for an hour after. I find it helps a lot with coughs. My sons love to open and close the lid or radish themselves, and most kids will like to sweet taste. 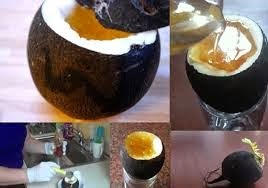 I use one carved out black radish about 3 times on average, adding honey to it after each use. You can store in the fridge once in use. Remember than you're allowed to give honey to your child only after s/he turns one. In the GTA, you can buy black radish at Coppa's, Ambrosia and Yummy Market. Croup often begins like a common cold, but then comes the fever, cough and difficulty breathing. The lining of the throat and larynx gets red and swollen, and a barking cough develops. Trust me, you will know if your child has croup; it sounds horrible and your child will have a lot of difficulty breathing. Croup is a viral infection. You should always consult your doctor for treatment. My son was given a steroid pill to be taken once only before bedtime. Usually, croup is worse the 2nd night (in my experience). You can get croup more than once. This infection can cause fever, head-ache, sore throat, loss of appetite, lack of energy, a skin rash and small, painful ulcers in the mouth. The rash usually appears on the hands and feet, but may also be on other parts of the body. See your doctor to confirm the diagnosis. It spreads from person to person through the air or by touch. Children may remain infectious for one to two weeks. Outbreaks are more common in the summer and fall, and are common in daycares. Can you believe that your child can go to daycare or school if he feels well enough, having this disease? No wonder, it spreads like crazy! You can get this disease more than once. Some may get it in light form, others in harsher forms. My oldest took it pretty well, and barely showed symptoms, while my youngest son would barely eat anything for days. Symptoms include pus coming from the eye, if the pink eye is caused by bacteria. If pink eye is caused by a virus, the discharge will be more watery. Often, the pus may make the eyelids stick together. Consult your doctor if you suspect that your child has pink eye. If caused by bacteria, it is treated with antibiotics and warm water compresses. If caused by a virus, treat it with warm water compresses only. I use the Polysporin eye ointment (not the pink eye drops!) for my kids to help get rid of the pus and avoid their eyelids sticking together. Pink Eye spreads by touch. Roseola is characterized by fever which disappears in a few days and is replaced with a rash on the face and body, which lasts for one or two days. It is caused by a virus. Roseola is common in children aged six to 24 months. Consult your doctor to confirm diagnosis. Unfortunately, I hear more and more from my friends about their kids getting strep. Strep throat symptoms include fever, sore throat, headache and stomach ache. This illness is caused by bacteria, and is treated with antibiotics. You will need to do a swab of the throat to confirm strep throat diagnosis. You can also have a rapid test done which gives results in ten minutes. You should always consult your doctor, if your child is sick!